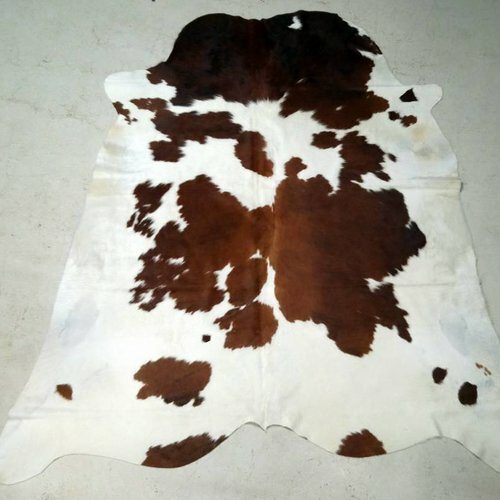 Brown + White Spotted Cowhide with a classic look. Tanned in Colombia, the hide you see is the hide you get. Measures approx. 6'7" x 5'2" and ships for only $3. Scroll down for more info. 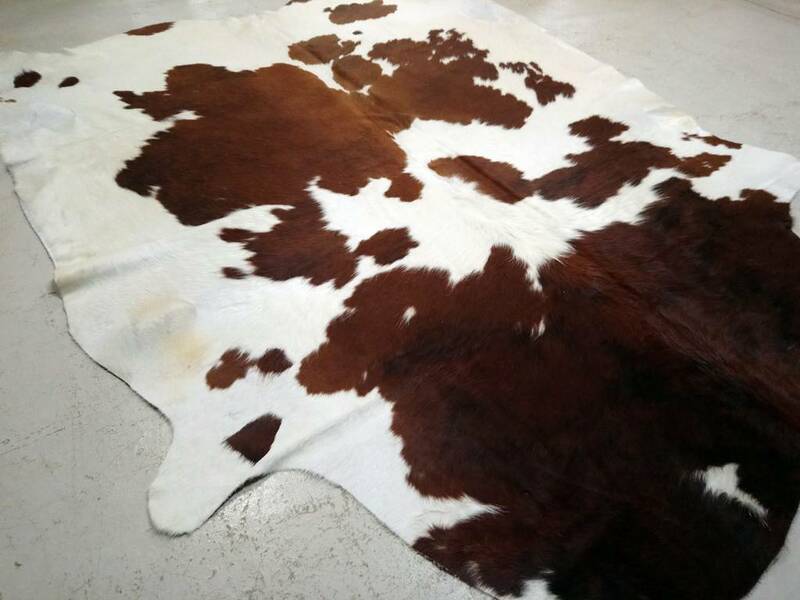 We love to see these hides underfoot in a living room, study or bedroom. They are so soft and smooth to walk on with your bare feet. They fit in every style of home ~ rustic lodge, shabby chic, bohemian, traditional, and industrial. 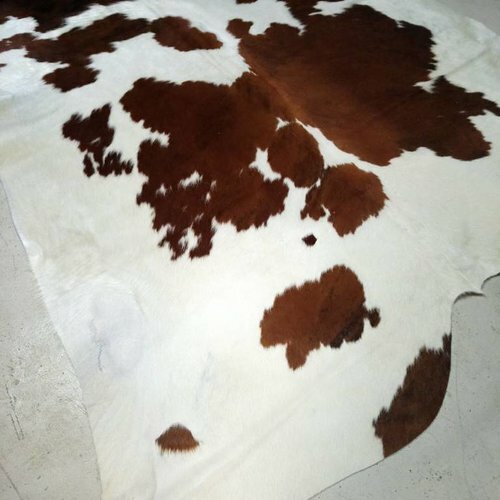 They are very easy to take care of ~ Cactus Creek has been selling Cowhides for over 19 years and we've had everything you can imagine happen to them ~ dog’s piddle, kitty’s hair ball, kid’s milk and mama’s red wine. Take a damp rag & wipe up any little thing… good as new!! Otherwise just vacuum them like you would any other rug, or take them out every now and then for a good shake. No, they won’t shed. For a video on how to take care of them scroll below. 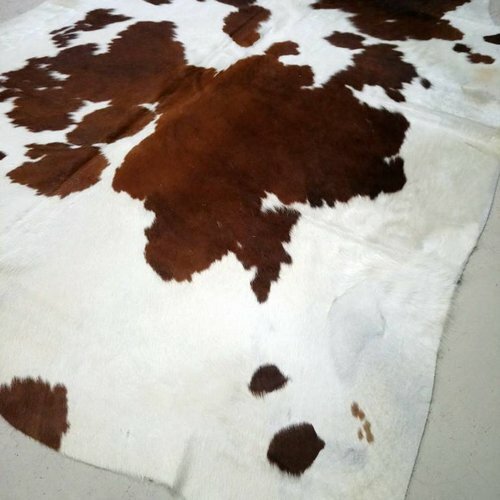 The hide may crease during shipping, these creases will fall out over time ~ the more you use it the quicker you will see the creases fall out ~ maybe a month at the most and it will lay smooth on the floor. 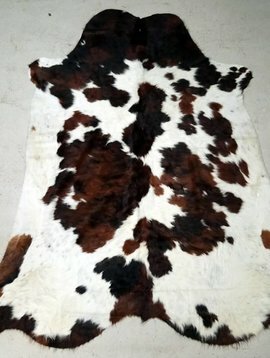 We are often asked about a rug pad underneath the hide to prevent the hide from slipping on the floor. 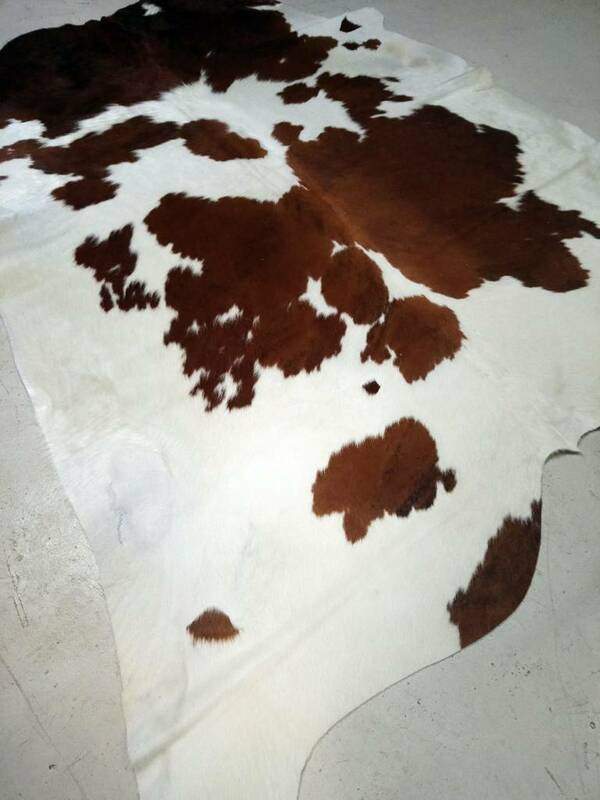 We have them in our homes on carpet, wood floors and tile. I have never had one be slippery on the floor. That said, we do have a suggestion to make sure it doesn't happen. 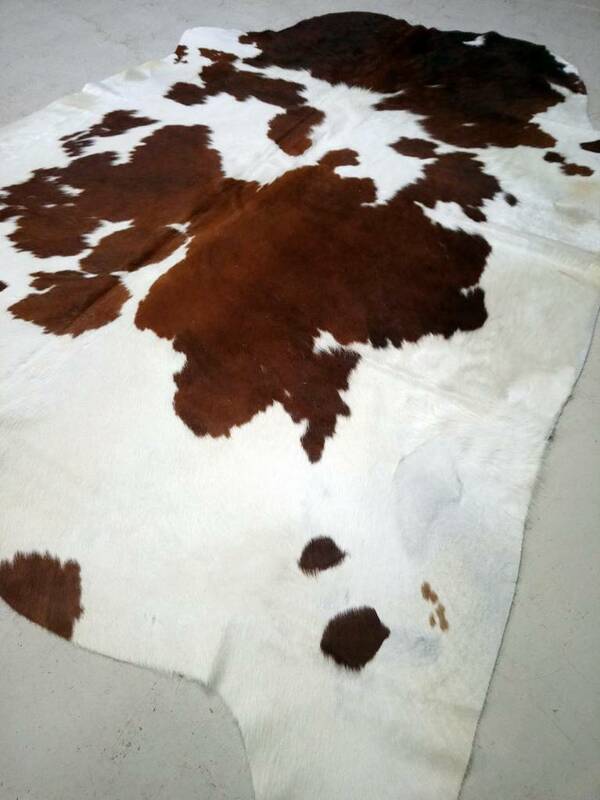 When you receive your Cactus Creek Cowhide turn it upside down and get a hot glue gun. On the edges of the hide put stripes and dots of hot glue. 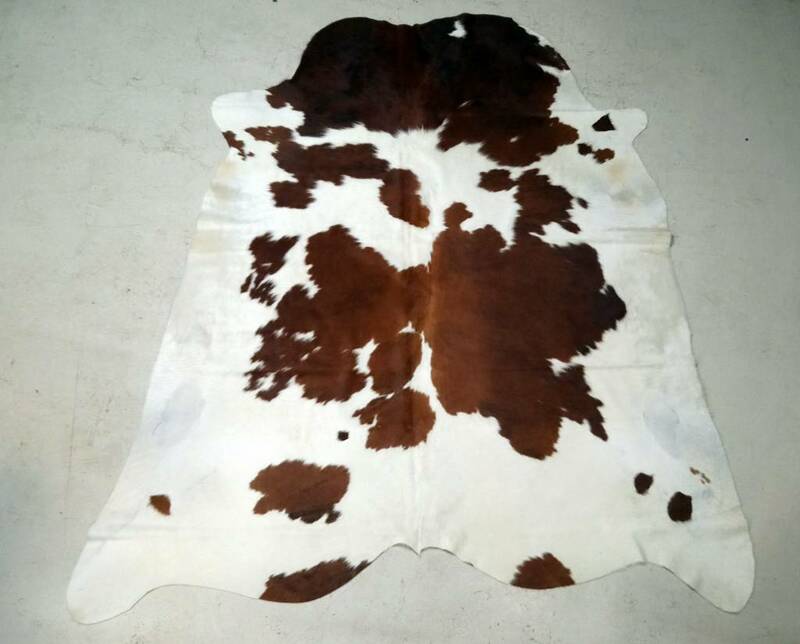 WAIT for the glue to dry completely - at least 24 hours - then flip the hide back over and you'll have a slip-guard on the hide that will work for the life of the cowhide!! p.s. we got that tip from Martha Stewart, didn't make it up ourselves. 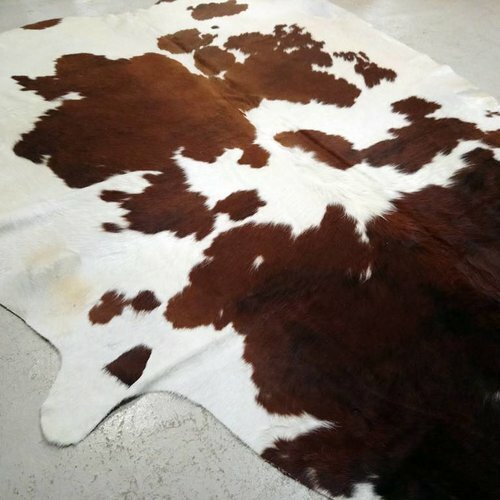 Click HERE on how to clean a cowhide rug on our YouTube page. Click HERE for ideas on how to use them on our Pinterest page.